Don Palmer, Councillor for Clarence Park Ward, City of UnleyNew Initiatives form the basis of the rate increase proposed by the City of Unley for 2018/19. 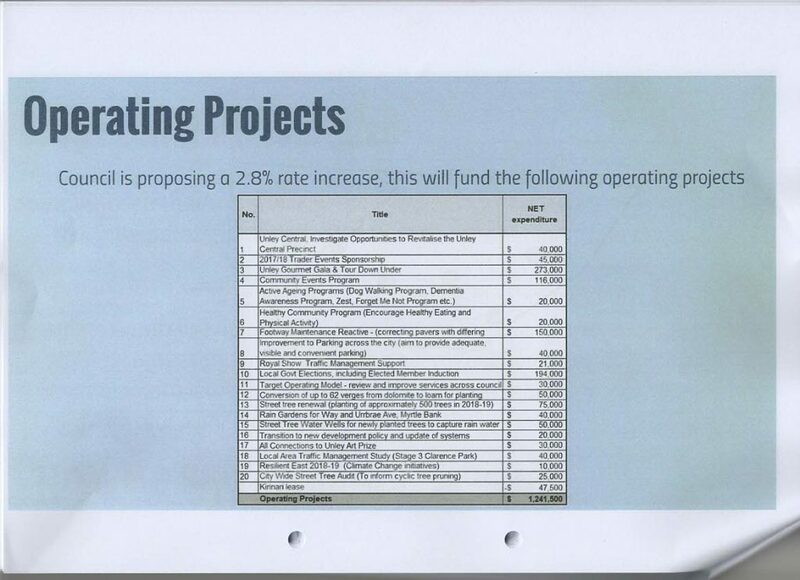 Don Palmer, Councillor for Clarence Park Ward, City of UnleyNew Initiatives form the basis of the rate increase proposed by the City of Unley for 2018/19. Design King William Road. The Most Loved Main Street in Adelaide.